Sometimes you come across tools that unfortunately skipped out on an intuitive User Interface or easy to use commands, which could have been easily implemented to exponentially increase productivity. 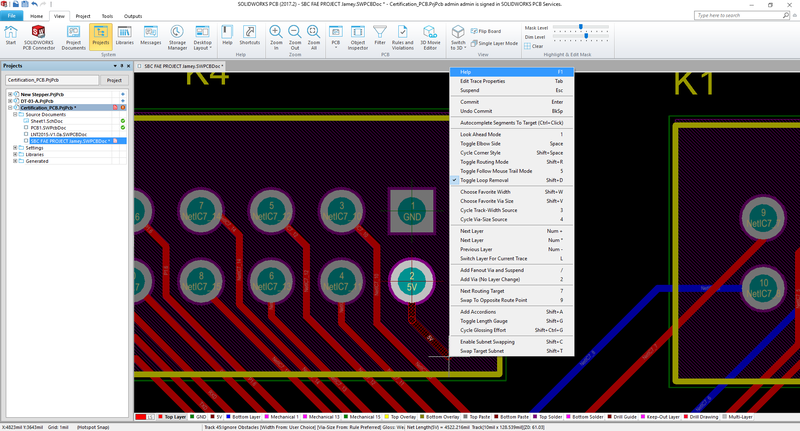 SOLIDWORKS PCB is not one of those tools. 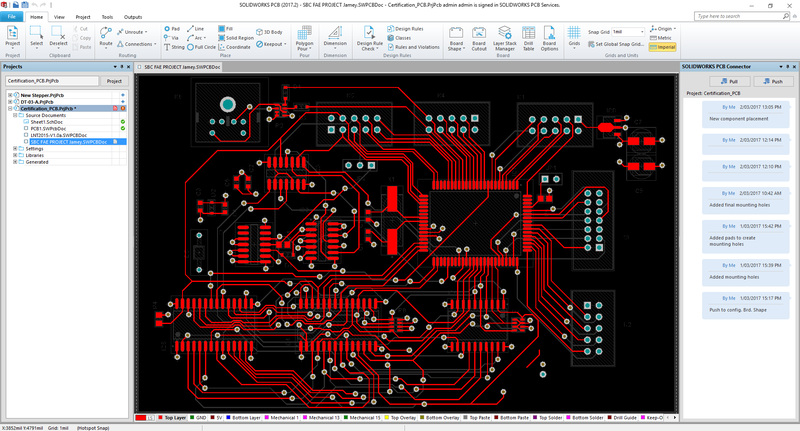 On top of it's Unified Platform, easy to use UI and automated output generation, SOLIDWORKS PCB also includes a clean shortcut panel that includes great shortcuts available across the platform. While this list is extensive, there are a few you should be leveraging that are not listed. While routing, press the “+” or “-” key to drop a via. 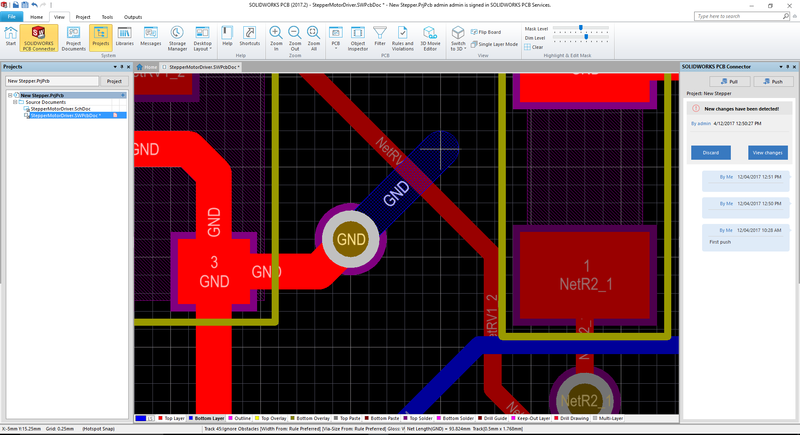 The via is now on your cursor, ready to be placed on the next layer to continue routing. If you do not have a numeric pad, use the "2" key, followed by the "L" key to toggle the next layer. Press "Shift + S" to enter single layer mode. While in Single layer mode, press “+” or “-“ to switch between layers. Press Shift + S again to exit single layer mode. 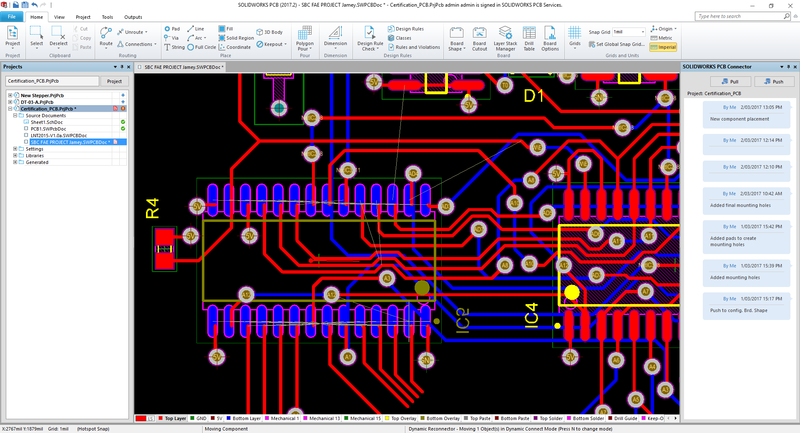 This will give you a clear visual of your PCB layout, one active layer at a time. 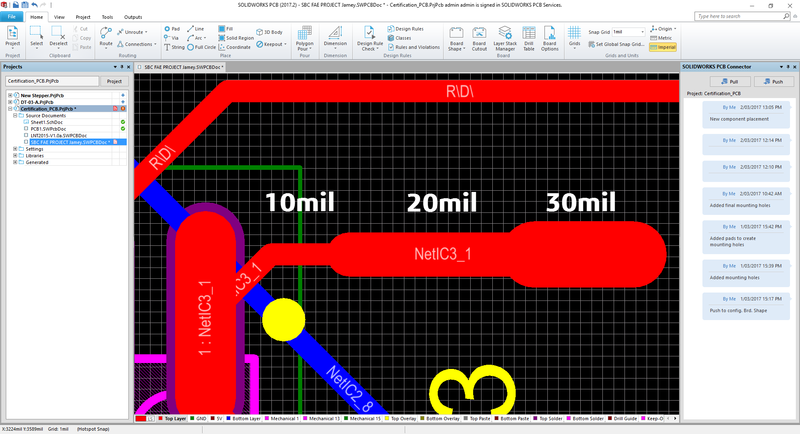 While routing, we can toggle through preferred route widths that are defined in our design rules. Simply press the "3" key to toggle through the minimum, preferred and maximum widths. When multi-routing, we can easily adjust route spacing using the "B" key to decrease spacing, and "Shift + B" to increase spacing. 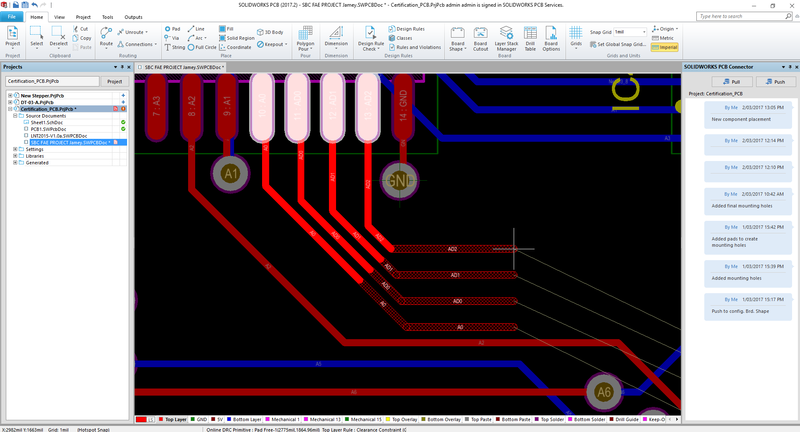 We can toggle through a few spacing options including the "3" key to toggle through route widths. Quickly change your component's layer by using the "L" key while the component is selected. To view all available options during a command, hit the "Tilde" key (above the TAB key) to preview all available options during that command. 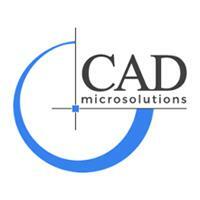 To find out more about SOLIDWORKS PCB and other supporting products, please visit our website at www.cadmicro.com or feel free to contact me to discuss some questions you may have.